Maureen Corrigan has produced a minor miracle: a book about "The Great Gatsby" that stands up to "Gatsby" itself" -- Michael Cunningham. It's a revered classic and a rite of passage in the reading lives of millions. But how well do we really know "The Great Gatsby?" As "Fresh Air" book critic Maureen Corrigan points out, many of us first read Fitzgerald's masterpiece when we were too young to comprehend its power. 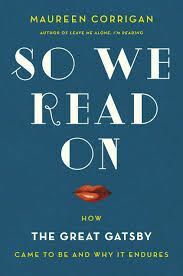 Offering a fresh perspective on "Gatsby, " SO WE READ ON takes readers into archives, high school classrooms, and onto the Long Island Sound to explore the novel's hidden depths, revealing its surprising debt to noir, its rocky path to recognition as a "classic," and its profound commentaries on race, class, and gender. 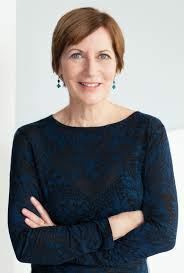 With rigor, wit, and infectious enthusiasm, Corrigan inspires us to re-experience Gatsby and, along the way, spins a fascinating story of her own.Maureen Corrigan is the book critic for NPR's "Fresh Air," the Critic-in-Residence at Georgetown University, and winner of the Edgar Award for Criticism. She is the author of "Leave Me Alone, " "I'm Reading."